My favourite shot comes from a beautiful moment in a film filled with many. 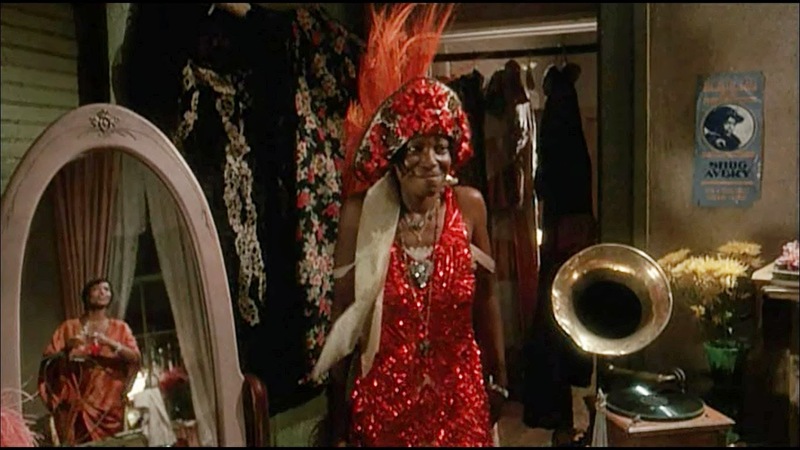 After a rocky start to their friendship, Celie and Shug have grown to be close friends at this point, with Shug even performing "Celie's Blues" in her honour at the juke joint. After returning home, Shug encourages Celie to embrace her beauty and wear a glittery dress that Celie feels unworthy of. It's such a kind gesture and the scene as a whole reveals so much about the characters. After a life of oppression, Shug comes along and gives Celie such great inner strength that serves her well throughout the entire film. She may be uncomfortable in this dress (she isn't even confident enough to look in the mirror), but Shug's enthusiastic encouragement in the background means the world to her. Just look at that sheepish grin! 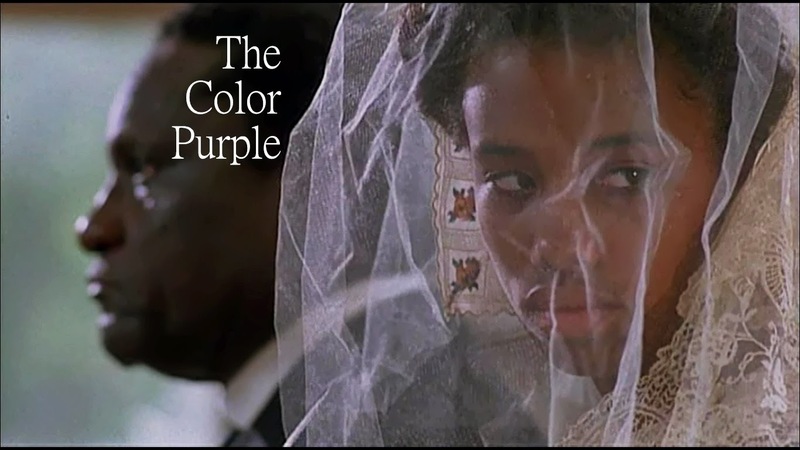 "The Color Purple" truly shines in these scenes, showing how simple acts of kindness and friendship between women can be the source of so much strength. What a great selection! This scene speaks volumes for the film's core, and it really highlights why Whoopi should have won that Oscar! Thanks. Whoopi really was fantastic here. I love that even though I picked the same shot as you, we each come up with a largely different reading of what it means. Terrific way to stretch one's mind on how to interpret film. Great write-up!